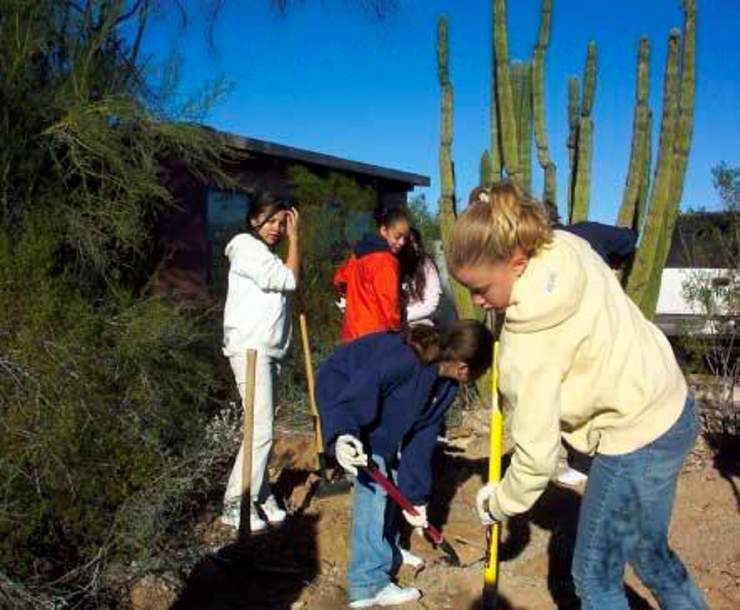 Ajo middle school students collaborated to design and build the pupfish refuge. The kids continue to monitor the condition of the oasis, water quality and number of fish. I learned about two sea creatures while vacationing this spring near Puerto Peñasco in Mexico. By coincidence, we were close to the home of these two endangered animals, at the north end of the Sea of Cortez. The totoaba is a large fish that only lives in a very small area, and only spawns in the Colorado River delta. Most notable, however, are its swim bladders, which are prized delicacies in China. These organs make the fish valuable, so that it is often captured even though it is protected by law. Locals fish with gill nets that allow small fish to pass through, but the holes are sized to catch the totoaba. Totoabas reproduce slowly. They don’t become fertile until they are 6 or 7 years old, but they live to be 15 at most and only spawn just once a year. The young are picky – they require brackish water. Totoaba eggs are laid in the Colorado River delta where the river mixes with the ocean. Indeed, their whole population is confined to the area near the Colorado’s mouth. Unfortunately, the Colorado River has so much water diverted for human needs that most of the time no fresh water reaches the Sea of Cortez. With no fresh water to mix with the ocean, there is no brackish water for spawning and one of the reasons the totoaba is going extinct. The second species, the vaquita, is the world’s smallest porpoise and shares in the same small habitat with totoabas. Vaquitas are smaller but plumper than their neighbors, causing them to also get caught in gill nets. Because they are mammals, they drown unless they can get to air every few minutes. These two neighbors are both critically endangered because of habitat destruction and “overharvesting.” Both species are likely to become extinct in the near future. Although the Mexican government has passed laws forbidding the use of gill nets, that hasn’t prevented destruction of the two creatures. Unfortunately, the prospect of a large payout from selling a totaba is too large an incentive for many poor fishermen to resist. Vaquitas are also protected by Mexican law, but they apparently are only killed by accident. Their population, which was never large, is now estimated to be as few as a dozen. These animals are secretive and difficult to see, but scientists can listen to their high-frequency sound, which vaquitas use to communicate. These calls allow scientists to estimate the animals’ numbers. In an effort to save vaquitas, scientists from nine countries banded together to organize VaquitaCPR. After months of planning, they captured one of these little animals, with the hope of keeping it safe in an enclosed area of ocean. The specimen showed signs of severe stress, however, so they released her. The second animal didn’t fare as well — it died shortly after capture. I first read about vaquitas and totoabas in a Scientific American article, “Goodbye, Vaquita: How Corruption and Poverty Doom Endangered Species.” It is sad to learn that our human needs and carelessness are destroying these beautiful animals. Driving home from Puerto Peñasco, we entered Organ Pipe Cactus National Monument right after we crossed the border. We stopped at the visitor center to get oriented to the monument and eat a picnic lunch. The nature trail offered a great way for all three of us (our dog traveled with us) to stretch our legs. At its end, we were surprised to find a small oasis with shady trees, luxuriant plants, a pond and a sign with the unpronounceable title: “Quitobaquito Pupfish.” This is the name of another endemic species – meaning its entire geographic range is tiny, like the totaba and vacquito. This species of pupfish only occurs naturally in two places in the world. In the United States, the only habitat is in the monument’s Quitobaquito Spring, which forms a small pool. The second location is in the Rio Sonoyta, just over the border in Mexico. A few years ago, the spring appeared to be drying up. 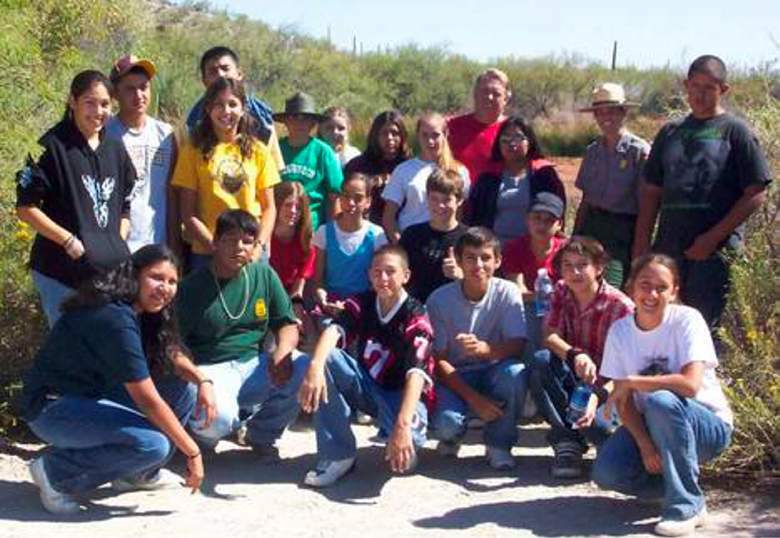 In an attempt to preserve these small, rare fish, the monument enlisted the help of 160 young citizen scientists – students at the nearby Ajo middle school. They collaborated to design and to build the pupfish refuge. The kids continue to monitor the condition of the oasis, water quality and number of fish.